Do you remember the first long-ish story you wrote? Oh yeah. Untitled first crappy “novel” that was nowhere near novel length in reality. I was 12, and I thought it was great until I finished my next book. But it was okay! I could try again! It was about a bookworm who signed up to tutor an ex-“bad boy” after school who wanted to change his ways. LOL! They fell in love. My character was 14, I think. Oh, the horror!! 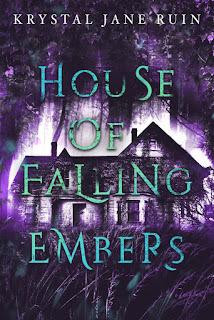 I have no idea why I went from writing horror-laced and fantastical short stories to contemporary teeny bopper romance, but it didn’t last long! How many novels have you written? They're mostly fantasy, right? Um…I think I’m on number 16. I count them all even though half of them are novella length. I thought I was writing a novel, so it counts. But yep, except for that first horrible attempt, all of them are fantasy or supernaturally charged horror. What is it about fantasy that you find so fascinating? Ooh, good question! I think it’s because I really, really like the thought of magic powers. Growing up in the middle, we often suffer from the often laughed at – but VERY real – middle child syndrome! I was kind of naturally drawn to anything that looked like it gave people a sense of control over their lives. I also really liked scaring myself as a kid. I used to sneak downstairs and play this Haunted Graveyard record that my parents would blast on Halloween. I think I was like five. Hmm…this is hard…I don’t remember if it was The Lion, the Witch, and the Wardrobe or this book called Into the Land of the Unicorns. I have a much better memory of what happened in the unicorn book before I read the entire Chronicles of Narnia in college. That kind of makes me think Narnia was first, but they’re both portal fantasies, so who knows. 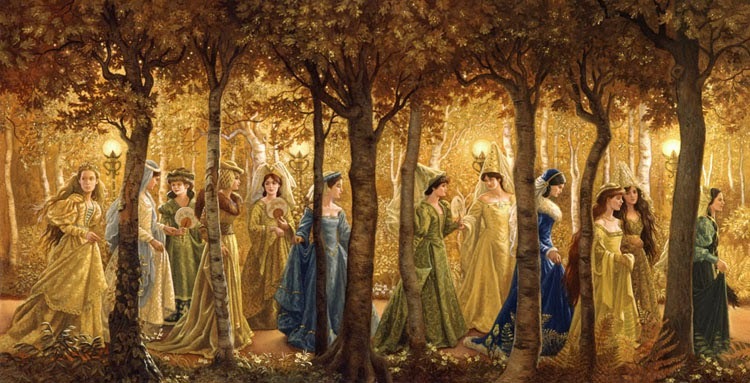 What's your favorite folktale or fairytale? Why do you like it so much? Ooh!! It’s really hard to pick one, but hands down, I have to go with “Twelve Dancing Princesses!” There’s just something so rich and lavish and mysterious and supernatural and almost frightening and sinister at times about that story. Maybe I just read too much into it, but every time I read my fairy tale book (well, the ones with that story in it), I never ever skip it. And every time I read it, there’s something in there that I don’t remember reading before! It’s fantastic! I know you have a revision and resubmit going on. How did that come about? I queried this particular agent at the tail end of July and got a partial request in mid-September. That was upgraded to a full in mid-November and the R&R came in at the end of February. So when they say you have to be patient, it's an understatement! This was my seventh time in the query trenches. The biggest relief is that the agent really likes my plot and the main characters in general! And how is the R&R going? The biggest change I'm making is with one of the side characters. She [the agent] pointed out some inconsistencies. It requires retooling of dialogue, thoughts, and actions throughout. I’m worried that I’m not making enough changes, because it seems like this revision is requiring me to make a lot of tiny changes throughout, but I feel pretty good about my approach. Of course, I still feel good about the draft in general, so I don’t know if that’s saying anything. I have a lot of internal and external dialogue changes, but my main focus is on clarifying and defining. It’s kind of like taking a tiny chisel to a statue that already looks like it’s done. Which is why I’m like, “Is she even going to be able to tell I did anything?” But I figure if nothing else, it will at least be a stronger version of what I already have, which is what I think I’m supposed to be going for. I'm still outlining my supernatural horror: Painted Chaos. You know what, I LOVE sunflowers! I always stop to soak them up when I see them. They're so gigantic, and they look so majestic and happy. I call them "happy" flowers. Thank you so much for letting me pick your brain, Krystal! Thanks for doing it, Krystal! I think either Karla or Michelle T. may be next, but we'll have to see who else I can get to come on here as I go on. Such a neat interview! Glad I got to know more interesting things about you Krystal. Good luck with that R&R! I'm rooting for ya! She was very accommodating with all her answers! But, you know, I think new writers could learn about R&Rs (and persistence) from Krystal and this interview. Aw, thanks. We wanted it to be fun! So far, I've even really liked some of the retellings of "Twelve Dancing Princesses" that I've read. Oh, I've never read "Twelve Dancing Princesses" but now I want to! I can't believe (well, yes I can!) you've created so many worlds! OMG, go read it NOW!!! I'll wait. Lol! It was....interesting. I liked it all except the end :/ lol.